1. Me and Mine 2.Creative In Me 3.Little Peanut 4. Pea in a Pod 5. Sugar Magnolias 6.Because Life Is Fun 7. Piece o’Kaje 8. Mon a Bric 9. Celebrate Life 10.My Journey11. Deeply In Love 12. Pink and Brown Diaries 13. Happyheart 14. Wilstop 15. Fun|Fierce|Fab 16. Nita’s Random Thoughts 17. Nita’s Corner 18. Thomas Web Links 19. Thomas Travel Tales 20. Make Money Online 21. Great Finds and Deals 22. PRC Board Exam Results 24. My Wandering Thoughts 25. Nita’s Ramblings 26. Just Me.. Eds 27. Etc Atbp 28. When Silence Speaks 29. Juliana’s Lair 30. Juliana’s World 31. Juliana’s Library 32. Blessed Chic 33. Can of Thoughts 34. Hailey’s Domain 35. Hailey’s Beats and Bits 36. ISL family 37. Arbitrary Thoughts 38. D’ Cooking Mudra 39. My Big Picture 40. Dancing in Midlife Tune 41. Blessings In Life 42. My Colorful World 43. Dare to Blog 44. Life Realities 45. WebGeek Journal DotNet 46. WebGeek Journal 47. Let’s Travel Philippines 49. MY DAILY THOUGHTS AND MOODS 50. A Sweet Taste Of Life 51. My Life in this Wonderful World! 52. Denz Techtronics 53. Denz Recreational 54. Surviving Deplyoment 55. Ester’s Raptured Dreams 56. Nipa Hut 57.Picture Clusters 58. My Wanderings 59.Maiylah’s Snippets 60. EuLehKulit 61. Life Quest 61.Being a wife. Being a Mom. 62. MoMie SPace 63.Woman Xplore 64. 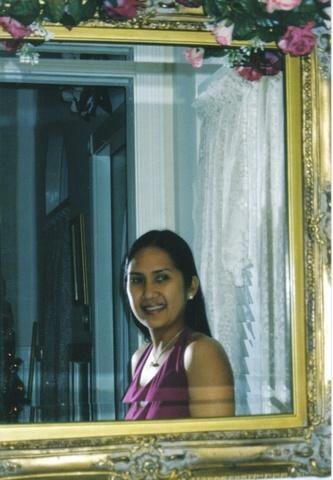 PinayWAHM 65. Agring’s Simply Digital 66. Agring’s Home & Garden 67. Agring’s Homecooking & Baking 68. Agring’s Electronics & Entertainments 69. Scrap Addict Sundays 70. Mommy Talks 71. Aggie Scraps 72.Teacher’s Corner 73. My Drift 74. lancernews 75. My so called Life 76. See Me for what You Will… 77. kathycot.com 78. buhaymisis.com 79. All about Mye life 80. Everything has a Reason 81. Life’s Impression 82. Some Thoughts I have 83. Life’s Lessons 84. Just Let Go 85. Pieces Of Me 86. Winding Creek Circle 87. BOTH SIDES NOW 88. Happy Life 89. Blessed Sanctuary 90.Confessions of an Army Life 91. moms….. check nyo 92. Mommy’s Little Corner 93. Wanna Be SuperModel 94. Gandacious 95. Jo-Jo’s Place 96.My Quiet Zone 97. Proud PINAY 98. Simply Jen 99. Jenny Said So 100. A Slice of Life 101. My Blog 102. TIP OF AN ICEBERG 103. Coffee Cup Princess 104. Deranged Insanity 105. YOUR BLOG! I am tagging: Cely, Shiela, Karen, Petra, Merydith, Recel, Ritchelle, Tess, Nova, Sheng, Sexymom, Vicky, Marzie, LadyJava and Janice.